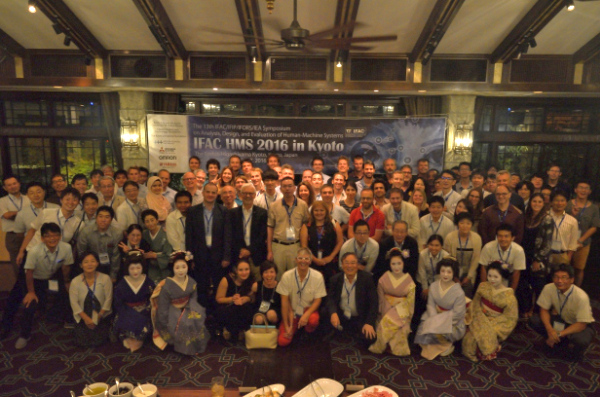 We would like to express our sincere thanks for the significant contributions of all participants toward the success of the 13th IFAC/IFIP/IFORS/IEA Symposium on Analysis, Design, and Evaluation of Human-Machine Systems, which was held in Kyoto from Aug 30, 2016 through Sep 2, 2016. There were a total of 125 registered participants from 16 different countries and additional 5 participants including the invited honorary guest from IFAC, keynote speakers and their attended persons. Upon 122 received papers, 44 were accepted as regular papers, 65 papers as invited papers for the thematic sessions, and 3 papers as workshop papers. 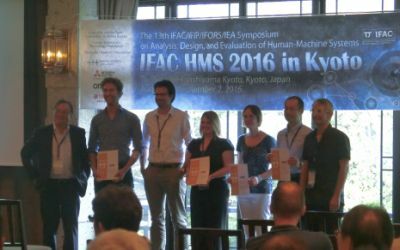 In the post-symposium proceedings, 110 papers will be included excluding 2 no-show papers. The 14th symposium will be organized by Prof. Sven Nõmm from Tallinn University of Technology. See you in Estonia, 2019!! The initial filtering for the best papers was based on the reviews that were given to each paper. After the initial filtering, four senior international committee members judged the quality of the nominated papers based on the technical soundness, awareness of literature, technological contribution, originality of the concepts, style and clarity, technical presentation and importance of results. As a result of that, due to the excellent quality of the selection and of the papers, the following awards were given at the closing ceremony. *The best paper presented by PhD student or Post doctoral researcher younger than 35 years, who should be the first and corresponding author of the paper. Information for presenters and notes for participants were posted. Some amendments were made to the payment procedure. The online registration and hotel reservation have been closed. The speaker at Plenary session 1 was changed from Mr. Ise to Mr. Okuchi. Details about Plenary sessions were updated. Details about Special Workshop were updated. Technical program was updated with minor revisions. Technical tour will be organized on Sep. 3 (Sat). Technical program is now available. Registration and hotel reservation system has opened. VISA information and invitation requests page is available.